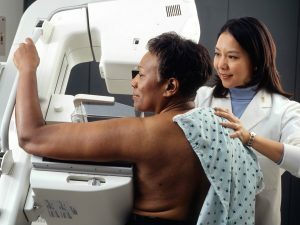 No longer than it took for the ink to dry on the paper, did the state of California take to heart the new guideline suggestions of raising the age to start mammography to 50 and above. This is a quick answer to everyones questions. When government gets involved the changes that will leave an opening to end coverage for those with the least means will be taken. It has been just over 3 weeks that the discussion around the dinner table and on news outlets the harm that could come to women with this change of guidelines was the hot topic of the day. Todays news now sheds a new light on the California health care situation. 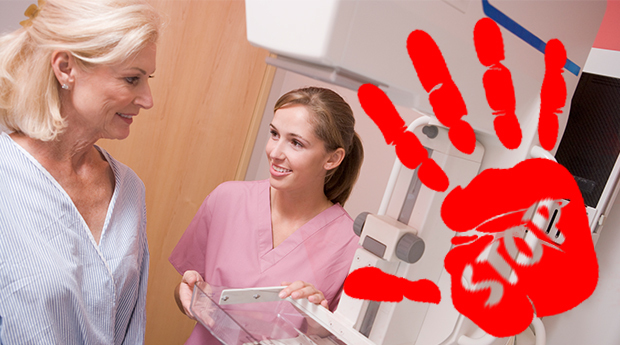 The Medicaid recipients will no longer get mammogram screening if they are under the age of 50. This is just the beginning of the end of a much needed screening to insure that those in an age category of high risk are being monitored. Many women now being treated for breast cancer are in a much younger age group. Not making available the easiest way to spot early problems just to save money is only telling of the way the entire system will go if government panels start deciding who can and who won’t get help with these tests and screening. Pulling funds or lowering them will put many at risk women into a position that early detection will be eliminated. How any state agency can just take a tossed out guideline and run with it without something in place to replace the current plan and system is just wrong. These tiers of health care are now taking place, if you don’t have any money, then you won’t get early screening . Those who have health plans that cover such things may see their plan altered in the future, but for now they are sticking to their current screening practices under the old recommendations. Read another story about medicaid asset protection trust. This is going to be a model for all the other states, ending good care for the dollar it will generate, rather than watching spending on other fronts, and managing the state budgets by cutting out wasteful spending. Those with enough money will get the screening, those with healthcare plans will get it. Those women turning 40 and Medicaid, will not get it. Something rotten in the government already, and the “public option” who wants it? No one if they are smart. this is just the beginning of the mess it will generate. Those who think they can affect change for the better, was to open a window to toss the women of little means out it. This is all about money, not health care. The new California Health and Welfare ruling on the mammogram changes is the first testament to the flood gate of changes in store for public welfare agencies and private customer paid insurances. It is time to tell our government to put its house in order, stop letting those with no experience dictate what others can and can’t have. I say take away a plane and a limo, the gas card, and the free parking at the capitol and let the legislators fend for themselves. Collecting our tax money, then saying there isn’t enough to go around and asking for more, to toss to pet projects instead of the general welfare of the people. Enough is enough, stop the out of control train before it reaches the bottom of the mountain.